This course equips you with enough knowledge to navigate around familiar waters by day. A basic knowledge of lights is also included to introduce you to night cruising. The fees includes RYA Training Package. You will need a plotter and dividers (these can be ordered when the course is booked @£21.00), pencil and rubber and some note paper. This course includes 40 hours teaching. The classes take place at Penarth Marina – there are courses scheduled throughout the year – see the programme page on the website to see the next course. Advanced training for more experienced skippers building on the Day Skipper course. This course equips you to navigate safely on coastal and offshore passages. The fees includes the RYA Training Package. You will need a plotter and dividers (these can be ordered when the course is booked @£25.00), pencil and rubber and some note paper. The classes take place at Penarth Marina – Courses will run over the winter months, and subject to demand, call/text/email Peter there maybe something we can do. – If you have to do the course then see section below. 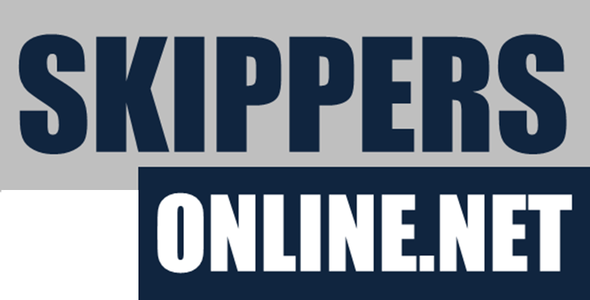 We have teamed up with SkippersOnline.net who provide the Day Skipper and Yachtmaster theory courses online. For those booking through our website we have an incentive of 10% off the courses or 50% off a new booking for the RYA VHF Interactive Course. Email peter@sa1y.co.uk for a discount code or follow up your course enrolment and request a discount on the VHF course. The Short Range Certificate is the minimum qualification required by law to control the operation of VHF and VHF Digital Selective Calling (DSC) equipment on any British flagged vessel voluntarily fitted with a radio. This includes both fixed and hand held equipment using International channels. A radio is an important piece of safety equipment on board and it is vital to understand the correct procedures. Unnecessary transmissions could block out a Mayday distress call. Dates when the course is planned feature on the calendar based on the programme and resources page. The learning is broken down into two parts – a 3 hour self-learning package and RYA Handbook are sent on receipt of payment. This is followed by 7 hours in the classroom where you will have ample opportunity to use the training radios. Arrangements will be made for the assessment to take place directly following the course with an independent RYA Assessor. The RYA Fee for this is £60.00. A one-day beginners’ course to help you prevent and solve diesel engine failure. The RYA student course workbook is included the fee. A RYA Diesel Engine Handbook is also available and can be supplied at the beginning of the course. The course can be completed on your own boat or X Beat II on a 1:1 basis (extra persons – max 2 – can be accommodated at an extra £40.00 each).